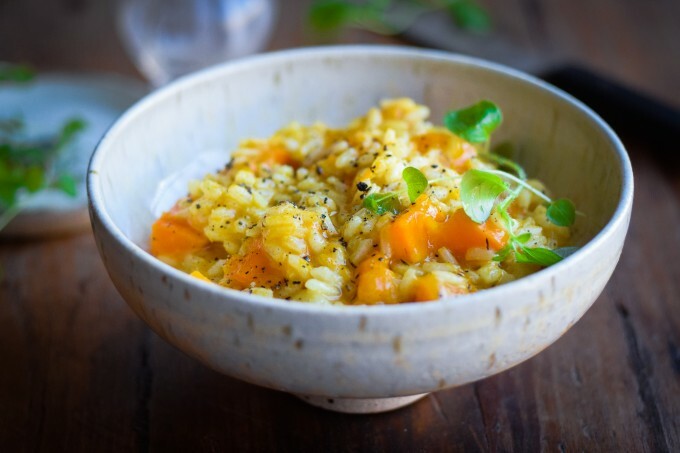 It’s time for a pumpkin risotto recipe! Better late than never, that’s what they say right? I know it’s not exactly the season anymore, but you can still get those beautiful orange pumpkins in my local supermarket. So for me, it’s still that time of the year! 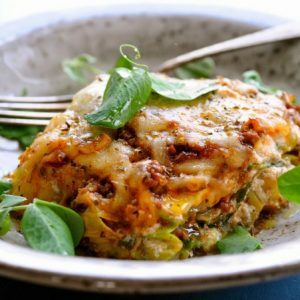 This recipe is super easy and dinner can be ready in about 30 minutes. Plus it’s super, super creamy with the addition of BOTH Parmesan cheese, of course, and cream cheese. Comfort food at it’s best. 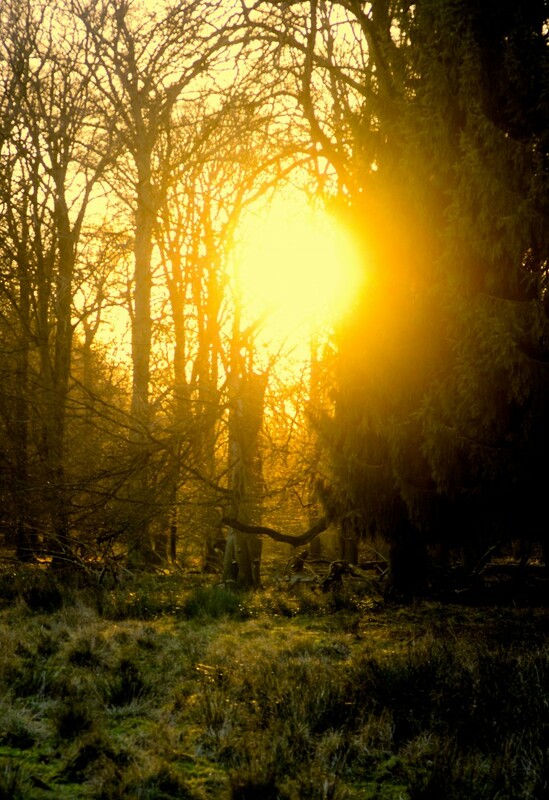 And that’s exactly what we want on these dark and cold January days that we have here in Copenhagen at the moment. I can’t believe it’s already January. It’s a new year. Crazy. Time goes by SO fast. And this past time really has gone by fast for me since I’ve been sick almost all December with the worst flu ever. That’s also why I haven’t been posting lately. It’s been awful. December really is the worst month ever to be sick in. I’ve been missing out on SO many delicious Christmas treats since I haven’t been able to taste anything. So now, in the beginning of January, I’m actually eating all the Christmas treats I can get a hold of. Crazy, I know. 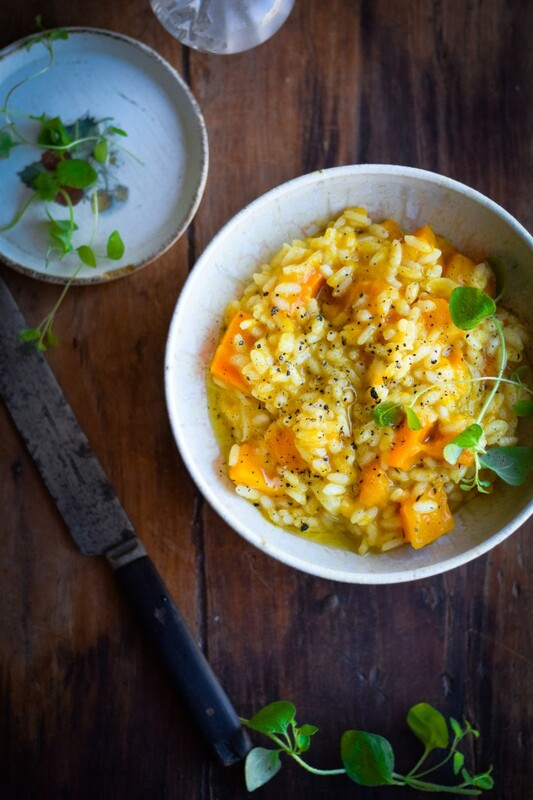 But I’m also eating THIS pumpkin risotto and I love everything about it! A warm hearty bowl of pumpkin goodness, what’s not to like. Hope you’ll be just as big a fan as I am! 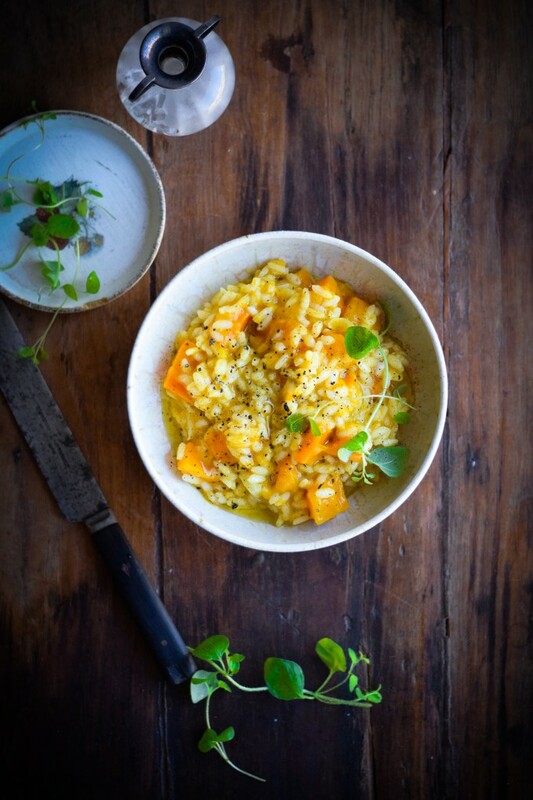 And don’t forget… I also have a pumpkin risotto with pearl barley. A whole grain version of the classic risotto. Start peeling the hokkaido pumpkin and cut into medium-sized bites. 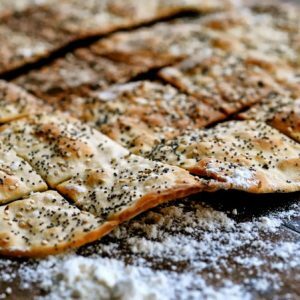 Toss with olive oil, salt and pepper and bake in the oven for approx. 20 minutes or until they are tender. 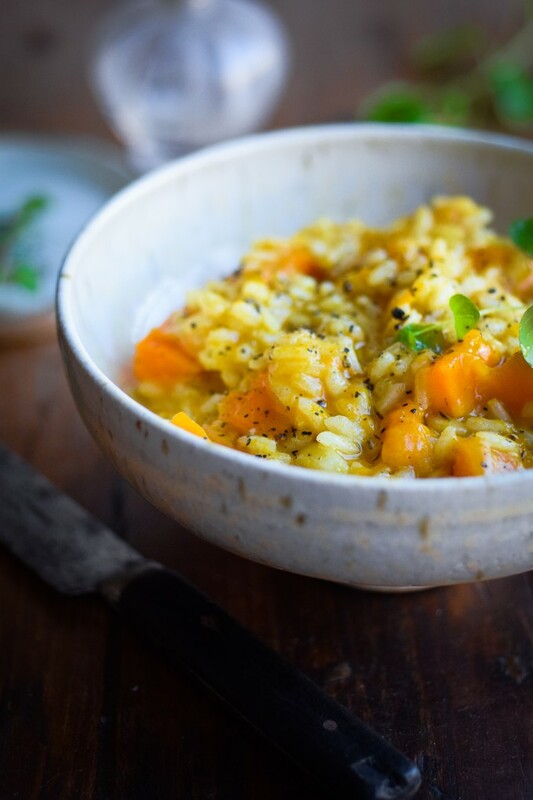 Begin making the risotto while the pumpkin is in the oven. Chop onion and garlic and fry until golden on a pan with olive oil. Add rice and let them fry along with onions for 2-3 minutes. Add white wine and let it absorb. Now add broth a little at a time. Allow broth to absorb almost completely before adding a new cup of broth. Also add parmesan rind and two tablespoons of sage, so that it can simmer with the rice. When the rice is al dente. Add finely grated parmesan, 1 tablespoon of finely chopped sage, cream cheese and apple cider vinegar as well as the oven baked pumpkin. Season with salt and freshly ground pepper, remove parmesan rind and serve immediately.